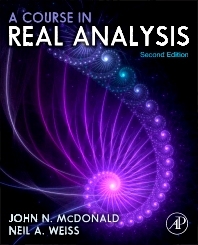 The second edition of A Course in Real Analysis provides a solid foundation of real analysis concepts and principles, presenting a broad range of topics in a clear and concise manner. The book is excellent at balancing theory and applications with a wealth of examples and exercises. The authors take a progressive approach of skill building to help students learn to absorb the abstract. Real world applications, probability theory, harmonic analysis, and dynamical systems theory are included, offering considerable flexibility in the choice of material to cover in the classroom. The accessible exposition not only helps students master real analysis, but also makes the book useful as a reference. 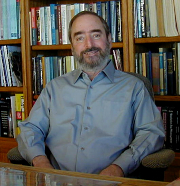 Neil A. Weiss (deceased) received his Ph.D. from UCLA and subsequently accepted an assistant-professor position at Arizona State University (ASU), where he was ultimately promoted to the rank of full professor. Weiss has taught mathematics, probability, statistics, and operations research from the freshman level to the advanced graduate level. In recognition of his excellence in teaching, he received the Dean’s Quality Teaching Award from the ASU College of Liberal Arts and Sciences. He has also been runner-up twice for the Charles Wexler Teaching Award in the ASU School of Mathematical and Statistical Sciences. Weiss’s comprehensive knowledge and experience ensures that his texts are mathematically accurate, as well as pedagogically sound. Weiss has published research papers in both theoretical and applied mathematics, including probability, engineering, operations research, numerical analysis, and psychology. He has also published several teaching-related papers. In addition to his numerous research publications, Weiss has authored or coauthored books in real analysis, probability, statistics, and finite mathematics. His texts-well known for their precision, readability, and pedagogical excellence-are used worldwide. (deceased) - Areas of Expertise: Analysis, Probability, and Statistics. Affiliation: School of Mathematical and Statistical Sciences, Arizona State University, Tempe, U.S.A. Please contact Gerardo Lafferriere at gerardolf@gmail.com for more information.